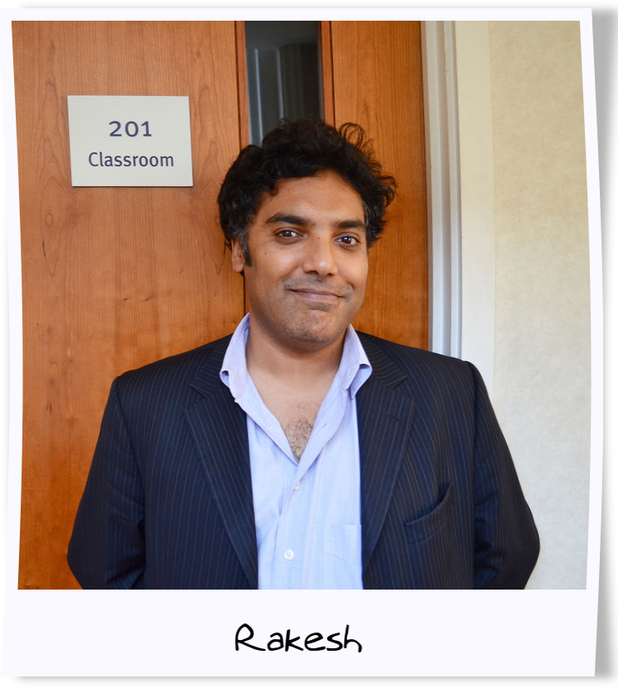 Rakesh is an English teacher at Kaplan Leicester Square (London) and a part time artist. He was born and raised in London and has been teaching English for the past 12 years. Here, he shares with us what he enjoys most about his job and what he thinks is best about London. Before I interviewed Rakesh, he allowed me to observe one of his lessons. From the moment I stepped in I could feel that this was going to be a fun class. His students were relaxed and had no problem asking questions. Rakesh made them feel comfortable and often made funny comments or jokes. He is definitely a ‘cool teacher’! Why did you decide to teach EFL? I’ve always been a bit impulsive, so one day I decided to go to South America and teach English. I started teaching in London instead and fell in love with my job. It’s fun, it’s interesting and it’s definitely rewarding. I still want to see South America, though. What is the best thing about London, in your opinion? Rakesh: London is a tolerant city; it’s a city where people can be themselves. They say London is the center of the universe and they are definitely right. You can experience a wide variety of cultures and it is a very cosmopolitan city, too. How do you make your lessons fun and engaging for your students? Rakesh: I try to create a relaxed atmosphere, not like a high school. I try to encourage students to actively engage in the class. Students don’t simply follow a coursework but they engage in a variety of activities. Your course is what you make of it. If you want to learn English, you will not be afraid to ask questions and make mistakes. Everyone needs to start somewhere and you will not regret the time you invested in learning English. We hope you enjoyed reading our interview with Rakesh. Please, feel free to ask any questions! Do you have a word of advice for future English students? Share it with us on our Facebook page!